He was born on Leap Day. She was born on Christmas Eve. But when it came to working together, neither felt much like celebrating. In 1932, when director William Wellman was paired with Ruth Chatterton for Frisco Jenny, it seemed the set might not be big enough for two passionate perfectionists who were used to calling the shots and very much unused to taking any crap from anyone. He’d been tagged an ogre, she’d been branded a diva. During preproduction, the wary director and his reluctant star communicated solely through his assistant, which suited both of them just fine. But once shooting began, they actually had to work with each other. Which, to their astonishment, went far better than either expected. On the very first morning, Chatterton nailed an emotionally draining scene in one take—so much for being difficult. Genuinely bowled over, the director praised her lavishly—so much for being a monster. Lots of Pre-Codes find their heroines in deep trouble at some point—but Frisco Jenny may break some sort of land speed record for instant drama. Almost as soon as the opening credits fade out, Jenny confesses to her saloon-keeper father (Robert Emmett O’Connor) that she’s pregnant out of wedlock by a local piano player (James Murray, in one of his last roles). And then suddenly—why, what’s that rumbling? Is it a deep sense of family unease? Nope—it’s the San Francisco earthquake! Filmed with terrifying realism, much the way Wellman shot his battle scenes, the quake claims both Jenny’s father and, we learn later, her lover. In a city now more wide-open and sinful than ever, Jenny opens a house of ill repute in the notorious Tenderloin district, to support herself and her infant son, Dan. But soon, seeking a better life for her boy, she places him with a wealthy family, intent on bringing him home as soon as she has enough money to leave her current life behind. Things don’t turn out that way, though: when she visits the boy years later, he has no memory of her, and clings to his adoptive mother. Now seeing little reason to reform, Jenny falls back in with the criminal crowd, expanding her empire to bootlegging, to disastrous effect. But all the while, she secretly keeps a scrapbook of Dan’s growing list of achievements: honor student at Stanford, football star, law student, assistant district attorney. Clearly their paths will cross again at some point, from opposite sides of the law, and when they do, the results will be tragic. Wellman’s keen desire to strip away the trappings of artifice and glamour extended to his leading ladies, and in the heartbreaking closing scenes of the film, he shot Chatterton, then 39, entirely without makeup. With her full permission and even her blessing. 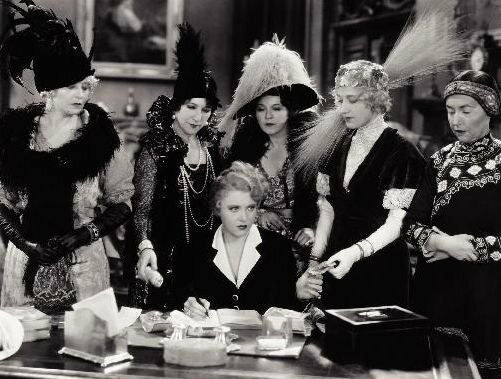 There’s a lot of talk about how much freer and more powerful women were in Pre-Codes, and that’s true, up to a point. But there was also a whole lotta reforming going on. Our heroines often paid a steep price for their “sins,” and often coughed up payment for other people’s misdeeds as well. That was certainly true in Frisco Jenny. 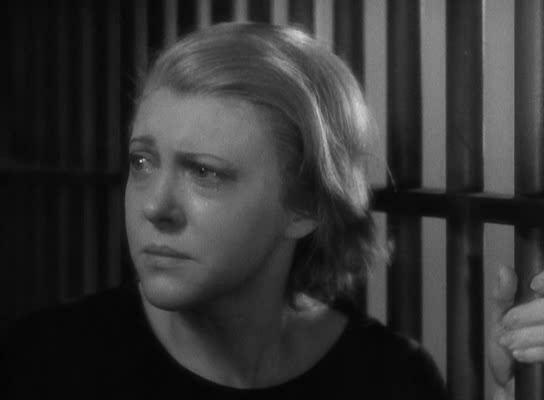 Chatterton’s character didn’t fare much better in her next pairing with Wellman. In Lilly Turner, her first husband is a bigamist, her second is an incorrigible drunk, and let’s not even talk about the carnival strongman who escapes from the insane asylum to join the parade of potential suitors. Chatterton’s most memorable role still lay ahead of her, in Dodsworth, as Walter Huston’s restless, insecure wife Fran, who’s terrified of growing older—a fear the actress didn’t share. 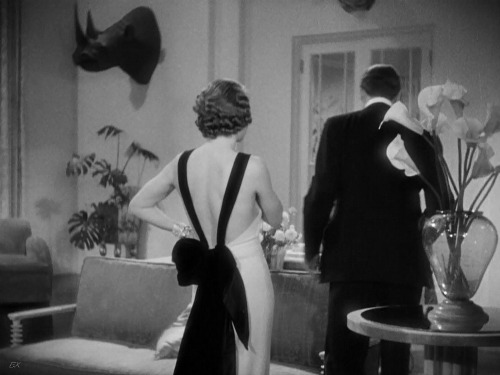 When good movie parts were no longer coming her way, she moved back East with Barry Thomson, her third husband (after Ralph Forbes and George Brent). She returned to the stage, did a bit of television, and wrote four novels, including Homeward Bourne, which became a bestseller in 1950. But perhaps her greatest passion was flying. 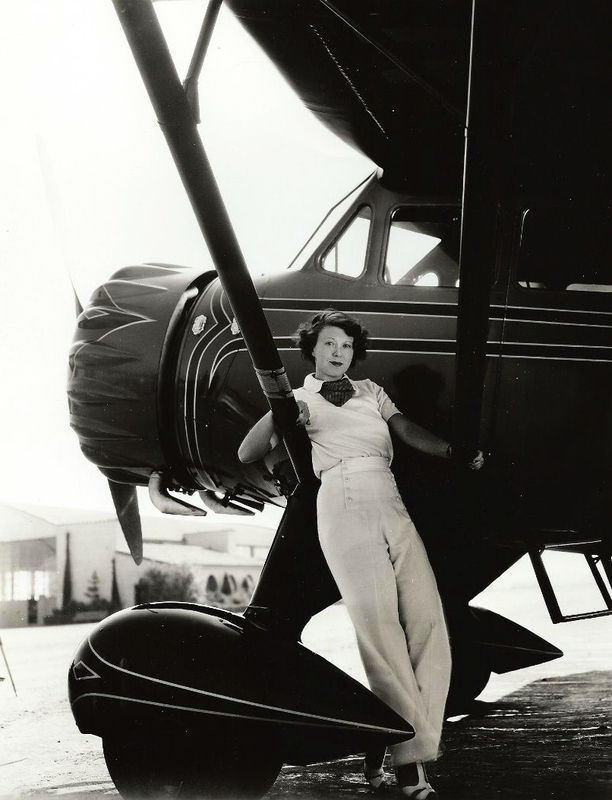 And we’re not talking about dabbling here: Chatterton flew solo across the Atlantic several times, just a few years after her close friend Amelia Earhart had. 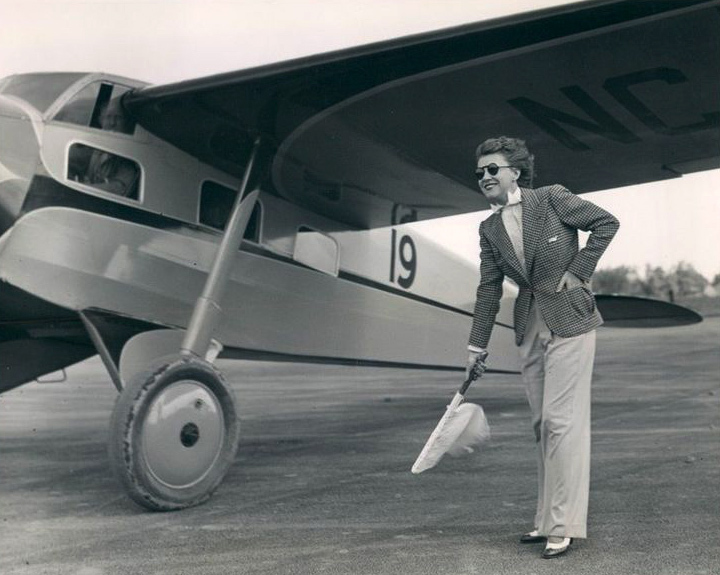 She also sponsored major events, including the Sportsman Pilot Mixed Air Derby and, of course, the annual Ruth Chatterton Air Derby. Words she herself lived by. Not surprising, then, that she found a kindred spirit in William Wellman. ← TINTYPE TUESDAY: Peeking Behind the Scenes on THE LADY EVE! Such as great post! Not only does it make me want to see this film but it also has increased my appreciation of Ruth Chatterton! Thank you so much for joining the blogathon! Thank you for hosting! I really enjoyed participating!! Fascinating background on two incredibly interesting people. 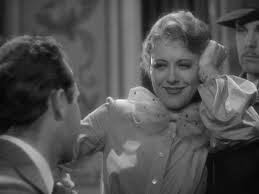 Wellman said flyers were all “screwy” and it is fun to think of Ruth Chatterton as one of that crowd. Very interesting to learn more about Chatterton – I didn’t know she was a flyer. She’s great in both this and Lilly Turner. Wow, what a fascinating life Ruth Chatterton had. I knew about the novels, but I didn’t know about the flying. One helluva dame! 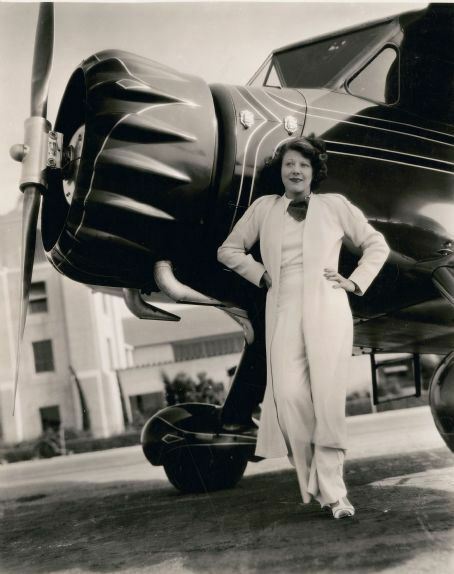 A shame she and Wellman couldn’t have collaborated on a flying film, they both being flypeople. Great post!